Kidney donor and Fishkill, NY Shliach Rabbi Sandhaus as he meets his recepient for first time at Cornell Hospital on morning of transplant. How does one inform his family that he was just diagnosed with end-stage kidney failure? That’s the position Harvey was in. He couldn’t. He knew it wasn’t too long before he’d need to go on dialysis (a form of life support). His wife and two young daughters in college would be devastated. Thus he downplayed it. He stated half-truths that would be considerably more digestible to them. Harvey has become a pro at the Teffilin Brachos since [Rabbi] Yossi started coming in weekly to wrap Teffilin with him. 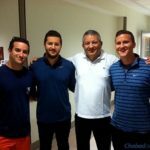 Over the years, Harvey has become a staunch supporter of Yossi’s Chabad House. 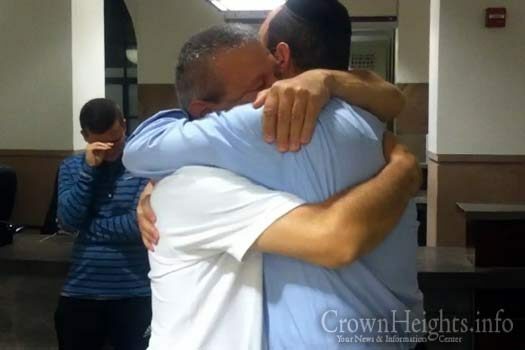 In return, he helps Harvey tap into his relationship with Hashem, something Harvey finds enriching. Lately, Harvey’s silent Teffilin prayer has taken on an urgency he hasn’t sensed earlier: “Please, G-d, send me an angel healthy enough to share his or her second kidney with me.” His life depends on it. It also rests heavily on Harvey’s conscience that he didn’t just create a company where anybody can fill in lest he become incapacitated… rather, he’s the brains behind his business, and his hundreds of employees depend on him (as Hashem’s keili). He’s an executive with a heart that knows what it would mean if hundreds were unemployed due to one man’s illness, and his employees are his family. “Will the investors all withdraw their capital if they hear that I’m ill?” For now, they are unaware of his health concerns. A kidney donor must be deemed healthy by the hospital to have adequate kidney function to be fully sustained by a single kidney. They actually live longer (statistically) than the general population. Of course, a primary factor for this is the fact that only healthy people are accepted as donors. 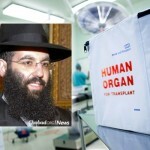 As a frum Jew, I also suspect it’s Hashem rewarding the donor’s generosity with Arichas Yomim. When I donated a kidney eight years ago (thank you Rabbi Simon from Chabad of Teaneck for being an example for me to follow), I knew that donating would be an enriching experience. It didn’t disappoint. A life is beautified when it is filled with enriching others. 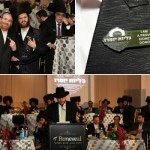 The Shluchim and Anash donors I’ve spoken with concur. Receiving the gift of life would not only enrich Harvey’s life, but also the lives of Sarah (his wife), Ashley and Natalie (his daughters), his countless employees, the Mosdos that benefit from his philanthropy, and his many friends. It’s not a ripple of Chessed that results, rather a cascading wave. Is kidney donation for everyone? No. One must be physically and psychologically healthy, and earn the support of your significant other. But it is a worthwhile endeavor to consider and research, no strings attached.